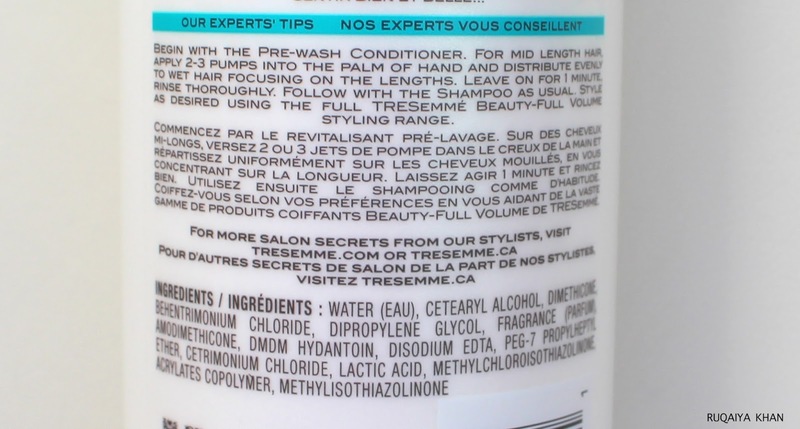 Who would have thought about applying conditioner before shampooing their hair? 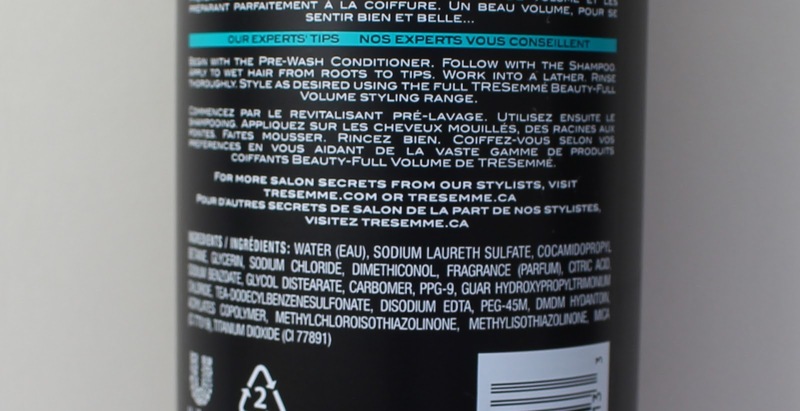 The idea is to use a Pre-Wash Conditioner first to soften, protect and prep the hair for washing. The next step is shampoo, to wash away the weight. TRESemme's Beauty-Full Volume collection has products that maximize volume and makes hair soft and touchable. 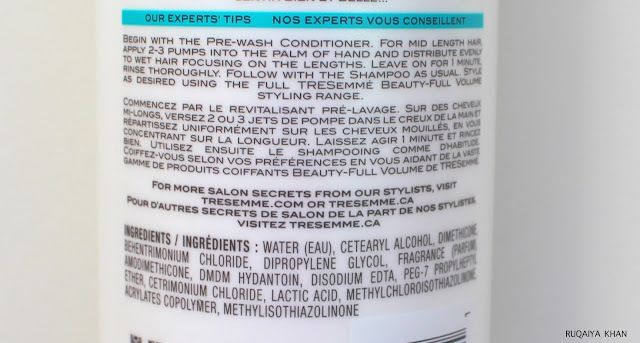 I apply this to wet hair from mid lengths to tips and leave it on for a minute and rinse. 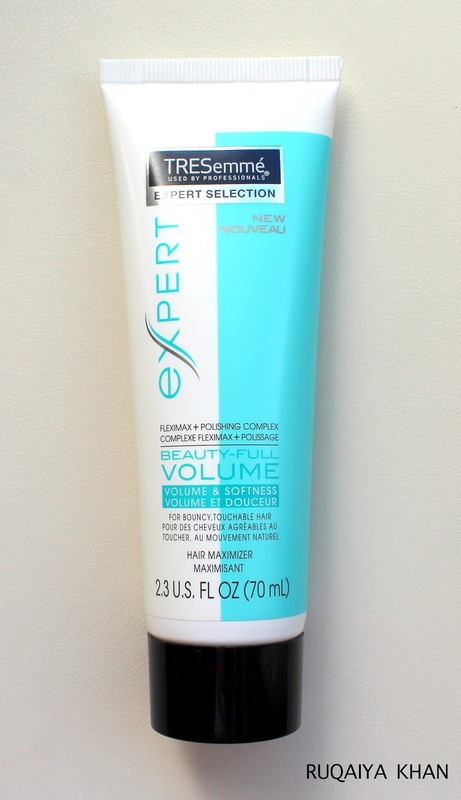 This conditioner is designed to bind with the outer layer of hair to protect it during wash. It smoothes and polishes, while preparing the hair for a voluminous bounce. The Pre-Wash Conditioner does feel a bit heavy when left on for a minute but rinses off well. And it comes in a pump bottle! I wish all conditioners were in pumps because it's so easy to apply! After conditioning, I follow up with shampoo, which again has all the technology and ingredients to boost volume softness and smoothness. 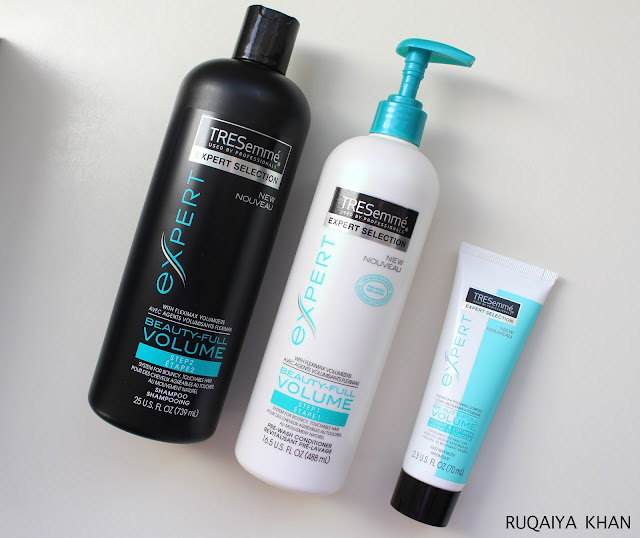 I felt that my hair had less static after using this but I did not see anything dramatic in terms of volume. 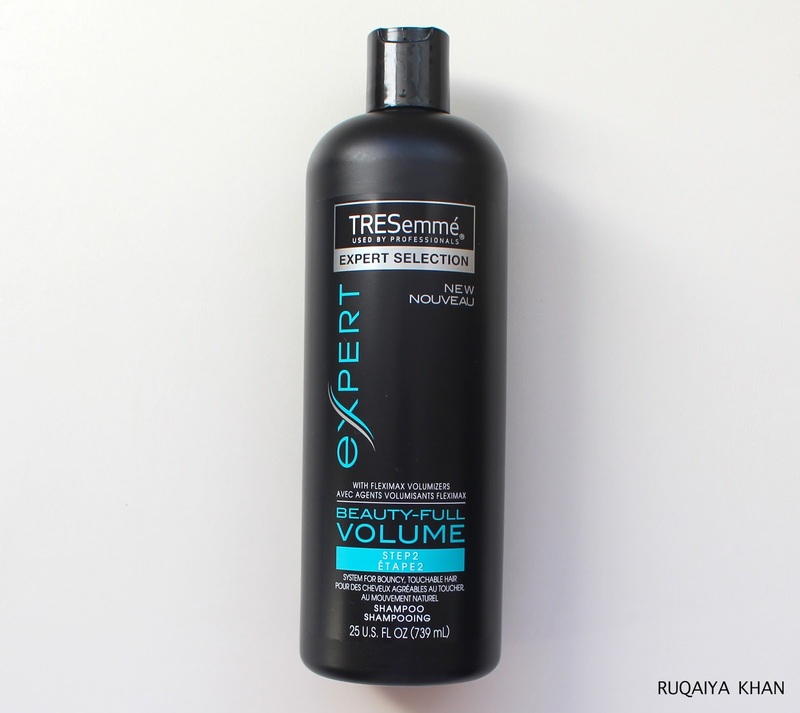 I felt that the shampoo left my hair feeling slightly 'rough' but once it dries, I could see that there is much less frizz and felt softer than before. 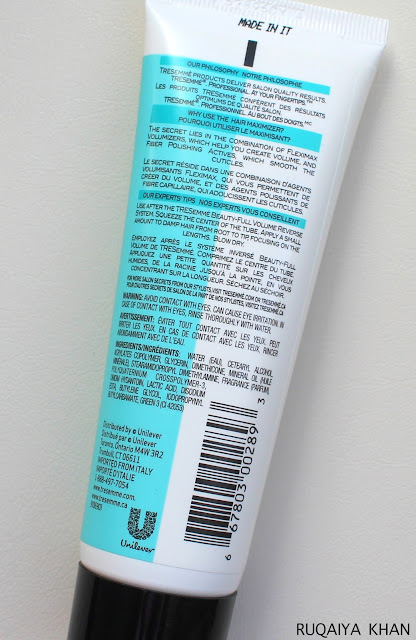 I have used this every other day for the past couple of weeks, and I felt that it made my hair feel soft, smooth, non frizzy and all the good things expected from a nice shampoo/conditioner duo, but did not blow me away. 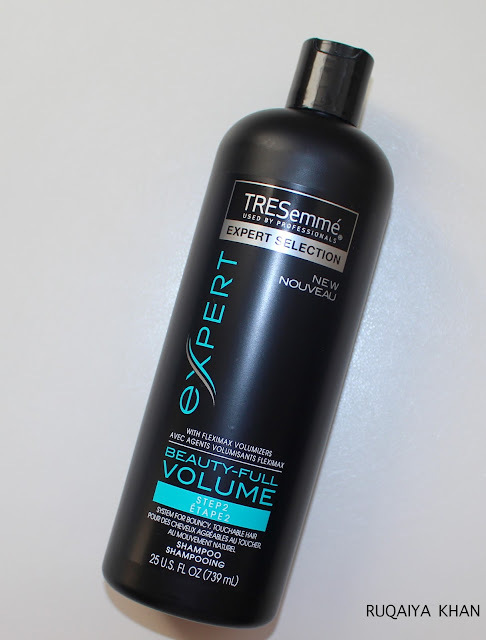 I use TRESemme Keratin Smooth shampoo/conditioner on a regular basis and I did not feel that the Beauty-Full Reverse Wash System did anything different from that. I did not see the "voluminous bounce" but I did notice a better hair texture. This is a pre style treatment that is supposed to go on damp hair, after washing with the Reverse Wash System. A small amount of this is applied to the hair from root to tip, focusing on the lengths and then blow dry. I did not like this product at all. 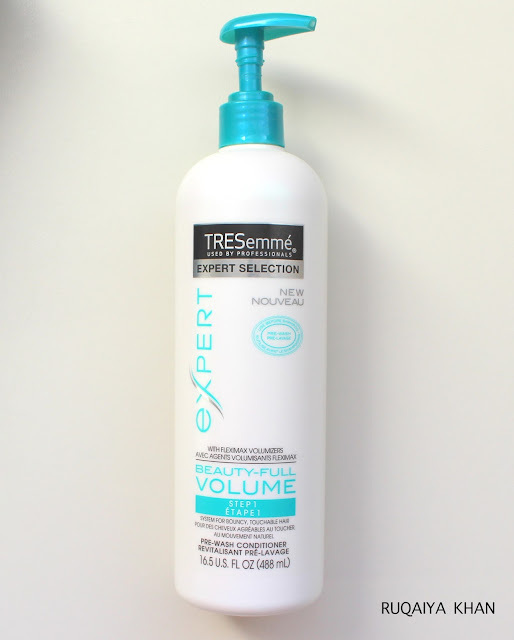 It's creamy, a little heavy and does not dry off completely even after blow drying. It made my hair dry, straight and without shine. I did not like how my hair felt at all. My hair looked so lifeless and yearned for the voluminous bounce, it promises. Seriously my frizzy hair looks better than what this did. My hair felt like I had not washed them in ages. Dislike this product so much. Overall, I like the Reverse Wash system. It's not too dramatic but made my hair less static, soft and a bit less frizzy. I feel a little bit 'cool'..like "It's so mainstream to wash and then condition! I pre condition and then wash" I do get the hype behind it - completely! And these products are good, just not extraordinary. The hair maximizer did not work for me. Have you tried this? Share what you think?